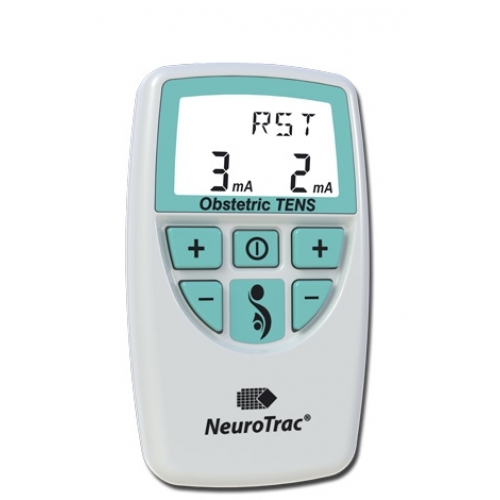 When it comes to pain relief during pregnancy and child birth, TENS is a great choice. All natural and safe for you and your baby, you might wonder how exactly it works. With this in mind we have put together our guide to TENS, giving you all the information on how it works and what makes it such a good idea for pain relief during childbirth. TENS (Transcutaneous Electrical Nerve Stimulation) is a mild electrical current which his used to give pain relief. It comes in the form of a small, electrical device (battery-powered) that has electrodes which stick to your skin and have leads that join to the device. Once the machine is switched on,small electrical impulses are sent through your body hitting those areas that are affected by pain and creating a tingling sensation. These electrical impulses block the pain signals that are headed for the spinal cord and brain, which in turn reduces the amount of pain felt. TENS can also relax muscles that are tense and stimulate the body into producing endorphins, which is a natural painkiller. What can you use TENS for? One of the most common reason for someone renting a TENS machine is for use during labour, however there are plenty of other painful conditions that TENS can help with. Period pain, back pain, sports injuries and arthritis are all conditions that can feel the benefit of TENS and its ability to block pain receptors. Fancy trying TENS out for yourself? TENS machines can be costly to purchase outright, however if you want to try one out and see if it can work with you then why not look at TENS machine rental? This means that you can see whether or not TENS works for your and make sure that you have found a high quality machine which is going to help you with your pain relief needs. Renting a TENS machine is also a great idea if you only plan to use TENS for a short time, perhaps as a method of pain relief during labour. Always seek the advice of a medical professional before you arrange rental of a TENS machine and make sure that you hire your TENS machine from a high quality rental company who can give you advice and guidance on how to use it.